best service and advice to our clients. excellence in arboricultural knowledge and skills with the best customer service. We operate with the key values of honesty and integrity in everything we do. We provide a full suite of arborist services. Only the best standard of professionalism, service and workmanship. You can rest easy knowing you're in safe hands. Experts in all tree care matters, we are trade qualified arborists and highly experienced. Safety is our lead priority. We help businesses manage their green assets, helping drive down costs while reducing their risk. Our loyal customers are attracted by our advice and price and come back for our superior customer service. Call Aussie Tree Care today to get your obligation free quote. We are here to help you and your business. Our company helps our clients understand how they can maintain their green assets without harsh or unneeded tree removal. We can prepare a greenery management plan that is tailored to each unique situation. 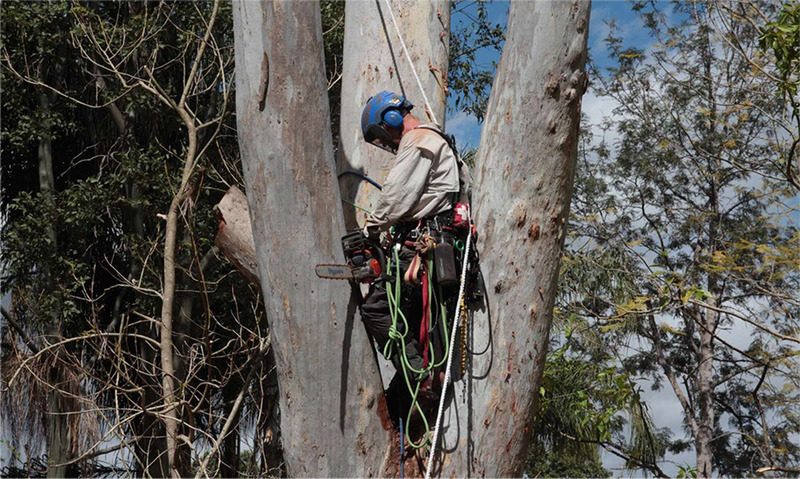 Aussie Tree Care complies with all council requirements and Australian Standards, and can help you and your business understand both your obligations and courses of action to remedy areas of risk. We collect and dispose of all waste as required. Trees are a wonderful part of the natural landscape. They are long-lived majestic beings that help to maintain the natural landscape and bring beauty to the world. Those of us that are lucky enough to have large trees in our gardens know how wonderful it is to enjoy their presence. Some of us will sit and read beneath them or build tree-houses for the children. It is all good fun until those trees get out of control. There is no shame in wanting to prune a tree to make the garden look nice or to let more sunshine in. At the same time, there is nothing wrong with choosing to say goodbye to a tree if it has come to the end of its life or has become too much of a hazard. The problem comes in trying to take care of the issue yourself. There is nothing to gain in climbing a ladder and hacking away at branches. You can do damage to the tree or worse, cause serious injury to yourself. The best approach to take is to call an arborist at Aussie Tree Care. Our skilled Gold Coast tree arborists can help you with a range of tree felling services in a professional manner. Why you should trust Aussie Tree Care to take care of your tree’s needs. You can put your trust in us because we are professional true arborists not tree loppers. The former may sound like it is just the fancy name for the latter, but we can assure you that there is more to it than that. Our arborists are all trained professionals with qualifications in Arboriculture – a minimum AQF Level 3 – and will work within all local laws and Australian standards. A tree lopper may be able to remove some dead branches and deal with a problem in record time, but this is a like chopping off a limb and putting a band aid on it. A skilled arborist can look at the problem from every angle. They will deal with the situation with a long term goal and the health of the tree in mind. Every cut has to be carefully considered. How much needs to be removed? Where is the best place to make the cut for the ongoing health of the tree? How can we make the process as safe and efficient as possible? It is this level of thought that requires a top-level tree service. This is why we are brought in by local residents, councils and real estate agents to deal with important tree-related projects. Aussie Tree Care Gold Coast tree surgeons do not simply lop trees, but there are many services that are provided to help keep your trees healthy and beautiful while still being inexpensive. 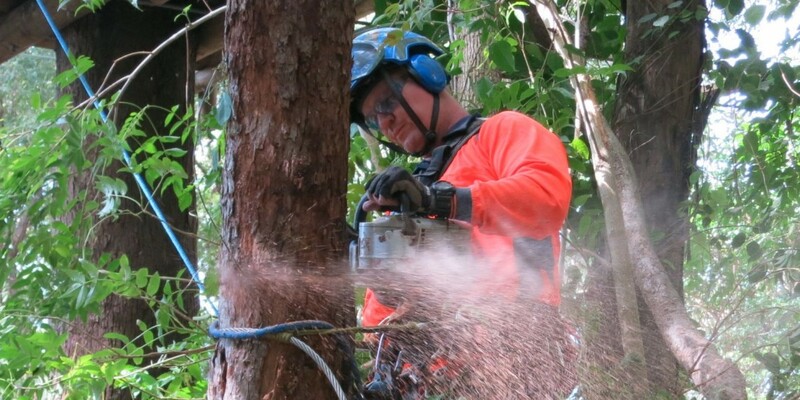 These highly-trained professionals are able to undertake a range of skilled tasks in the field of tree management in the boroughs around the Gold Coast. 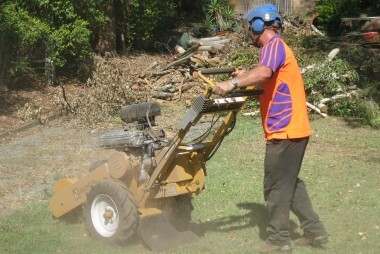 This can range from low key tree pruning in Coomera to full-blown tree removal in Tamborine Mountain. Tree removal is the task that most home owners think of when they think of an arborist. Arborists are called in to remove trees that pose a risk to property or residents, or that simply violate council regulations. They expect a man with a chainsaw to come and chop down a problem tree. The process is a little more complicated than that. We also need to survey the site and find the best way of removing the tree in a safe, effective manner. This can involve many man-hours and a complex system. Our team of arborists are trained to match the right system to the job for the ideal result. Tree removal is not the only reason to call upon our services if you are struggling with a tree. Perhaps you have a beloved tree that is simply getting a bit overgrown and needs tree pruning. Perhaps there are signs of disease and you want to remove a branch to save the tree. Tree pruning services are able to do just that. Tree trimming is an important part of our work. We will help home owners by removing dead or diseased limbs, removing branches that may be stunting growth or pruning branches to improve the view. This is part of our day-to-day service, but it is also important to remember that we also offer emergency tree care. Many trees are damaged in storms and those broken branches can be hazardous. Our Gold Coast arborists will come and deal with the issue in a quick, effective manner. Then there are the other important tree services that our arborists can offer. The health and longevity of your tree is important, so it pays to take care of them and give them a health check. We can come to your garden and check the condition of the tree and look out for signs of illness or any problems that may arise. Prevention is always better than the cure and an early diagnosis can help to protect your trees. The sooner we treat a fungal infection or infestation, the sooner it can be eradicated. This is a service that might surprise a lot of residents that are interested in tree removal. The removal of a tree is often a necessary step to take, but it isn’t an enjoyable one. We appreciate that many families would still like to have a tree in that spot and are sad to see the old one go. We can replace the old tree with a new one for you. This new, younger tree will be more manageable and will be a species that meets local regulations. Tree pruning and tree removal in the Gold Coast area require an arborist that really does respect the tree and the surrounding vegetation. The way that we talk about trees here at Aussie Tree Care sounds like we really do love trees, and this is true. Our appreciation and respect for the tree comes through in every tree service we provide. We may take a little longer than a tree lopper out for a quick buck, but we will do what is right for the tree and work in a professional manner. Trees are an important part of our gardens, and our homes, and those that are treated well can watch over a home for decades. If you want to treat your tree with the respect that it deserves, whether that means some necessary tree pruning or a simple health check, check out Our Services page and Contact Us. At Aussie Tree Care, our arborists promise a great service at a competitive rate. The promise of site development and the opportunities that it brings start with land clearing. Your dream can become a golden reality when you purchase a piece of property that has the potential to become the fulfillment of a visionary concept. The difference between an undeveloped property and one that receives the benefit of knowledgeable site developers can make a huge difference in the financial as well as the environmental aspects of a project. The process of removing existing flora and overgrowth requires extensive knowledge and years of experience to understand how to do It correctly. At Aussie Tree Care, we provide professional services and the advice that can help you transform virgin territory into an ideal site for development. 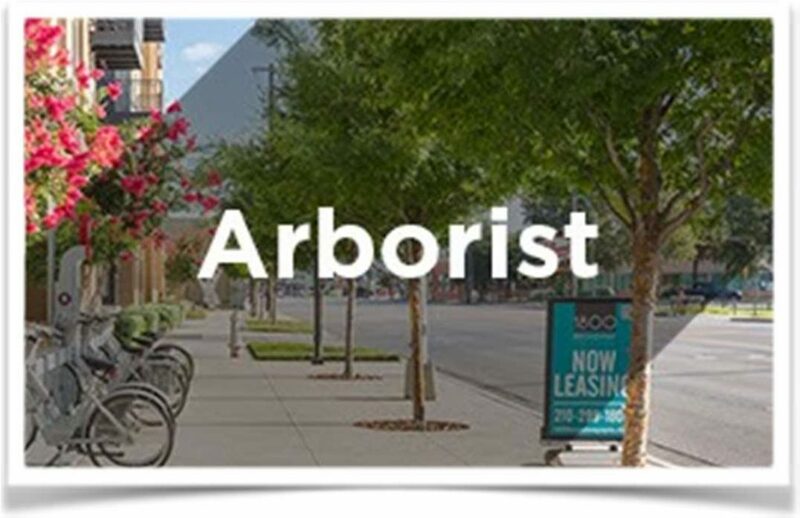 Our arborists understand the art and science of trees, and we value the enormous benefits that they provide for the environment and the aesthetic contributions that they make. With professionals who have qualifications in arboriculture at a minimum of AQF Level 3, we offer the achievement of sophisticated understanding that satisfies the standards of the most devoted environmentalists and successful business owners. No one benefits, when unqualified workers cut, trim or prune without knowing what they are doing. The consequences of the actions of inexperienced and unqualified workers can last for years along the coasts. Their errant ways can deprive owners as well as the environment of the benefits that nature bestows. While anyone with a chainsaw can topple a tree or remove limbs, we offer our clients far more than that. The respect that we have for nature, developers and the need for progress, gives us the tools for land clearing to help you achieve the site development that meets your requirements. Clearing land and complete removal of greenery and growth can leave a property looking barren and unattractive, but the careful selection of specimens that need removal offers a much more satisfying option. The natural beauty of the gold coast needs only your innovative vision as an owner who understands the benefits of hiring a dedicated team of professionals to clear land where necessary and enhance it everywhere. At Aussie Tree Care, we provide the link between owner and site development that makes excellent achievement possible. We have a reputation as the best tree clearing service in the industry, and it ensures each of our clients of a precisely designed and expertly delivered job. The natural growth along the coasts deserves development by knowledgeable arborists who respect the natural beauty and commit to preserving it while making way for progress. When site development occurs with respect for zoning laws, local laws, Australian standards and environmental protection, everyone benefits now and far into the future. We honor our gold coast’s heritage by preserving and enhancing it in the most appropriate ways. When it comes to perfection, performance and reliability, Aussie Tree Care offers the most professional and comprehensive tree clearing service that you can find in the Gold Coast. Our work at Aussie Tree Care requires a deep commitment to safety, aesthetics and plant health, and we treat them with equal importance. With proper training in the best practices for pruning, our professional staff makes the decisions on a job that lead to satisfaction of our clients, approval by the community and safety for everyone. At the outset of each job, we learn all we can, and then we concentrate on working safely. Personal protective equipment reminds each worker of the potential hazards of working at heights and with power tools. Each worker has full insurance coverage, and our company protects your property against damage as well. The best guide for pruning often comes from patterns in nature. Every living thing has a natural form, and we use our expertise to promote the tendency of growth to creep, cascade, mound or stand tall to enhance its contribution to a landscape. Pruning promotes plant health, and we recommend it for removing dead, diseased or damaged branches. Our experts make healthy cuts that allow calluses to cover the wounds. Projects that require land clearing in the Gold Coast, allow us to employ the full range of our expertise to accomplish the large-scale removal of growth and pave the way for development to begin. We exercise the utmost caution in preparing a site for construction. The felling and removal of excess growth can improve a property’s value and help ensure safety its for occupants. We keep our certifications up to date to assure you of our current insurance and qualifications to handle any job. Our equipment receives daily maintenance to make sure that each chainsaw has a perfect cutting edge, and our cherry pickers work efficiently. We make sure to remove every bit of debris from your property, and our prices remain among the most competitive in the industry. Our staff maintains a close relationship with authorities in zoning and regulation departments to ensure our compliance with guidelines for the land clearing of property for development. We comply with regulations that protect certain species as well as trunk diameters that may exclude removal. With our superior grinding equipment and the guidance of our professional arborists, we clear landscapes and vacant acreage by removing unsightly stumps. When left to rot, they can remain in place for many years. Unsightly appearance of a peaceful landscape, they draw attention that detracts from the beauty of a well-kept property. Our equipment grinds the stump into a pulpy material that can enrich flower beds and gardens. As an environmental practice we recommend, mulching beds with material that decays, puts nutrients into the soil and helps control weed growth. We help prevent stinging insects or destructive termites from establishing nests in stumps by providing a grinding service that levels the ground and enhances the appearance of raw land or cultured landscapes. The aesthetic effect of stump removal can significantly improve the appearance of a property and increase value as well. Environmental protection regulations may require documentation by a professional arborist to certify the conditions that allow the removal or modification of native species. Local councils may need verification that the appearance of bad repair requires drastic action such as removal. Native species have the protection that makes such approval necessary, but others may not require it. Our professional arborists have the experience and the certifications to provide the inspections and documentation that can meet the requirements of your applications for removal. A service that gets rid of cut branches and piles of debris can transform them into wood chips that benefit the environment and the appearance of a property. As mulch, they help retain the moisture level in soils and maintain a stable temperature level during extreme heat or cold. As they decay, they become compost that some gardeners use as “black gold” to enrich plants with the nutrients that they contain. As an improvement to the overall presentation of a landscape, the removal of fallen trees and limbs enhances the value of a home and its curb appeal. While home or property owners may have no way to move heavy loads, we can convert any amount of timber into wood chips that can have multiple uses and serve environmental as well as decorative purposes. Our full-service program offers you a comprehensive approach to invigorating a landscape with new plantings or rejuvenation with pruning to remove old or overgrown limbs. The process introduces vigorous new growth and enhances the appearance of new branches. 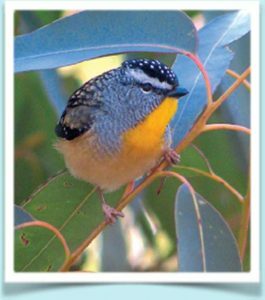 Our commitment to serving clients and protecting Australia’s natural beauty distinguishes us from our competition. We respect the environment and endeavor to enable our clients to achieve a balance that accepts development as an essential aspect of growth that benefits everyone. We can handle any size project.